I know that everyone is hyped to get their shiny new Galaxy Note 7 today, but let’s not forget that Samsung is also launching five other products today, most of which are worth a look for the general tech nerd. The list of new goodies includes the revamped Gear VR for 2016, Gear 360 camera (sweet deal here), Gear IconX wireless earbuds, Level Active headphones, and the Samsung Connect Auto for AT&T, a product that aims to make your car smarter. None of these are necessarily items we would typically review, but at least a couple of products are ones that we certainly keep around the office for testing purposes. We have a new Gear VR on the way, as well as the Gear 360, so if you do have questions about either, we can get to those in the near future. As for the rest of these, well, I’ll let Samsung explain each in their own terms taken from a press release sent over by their PR department. 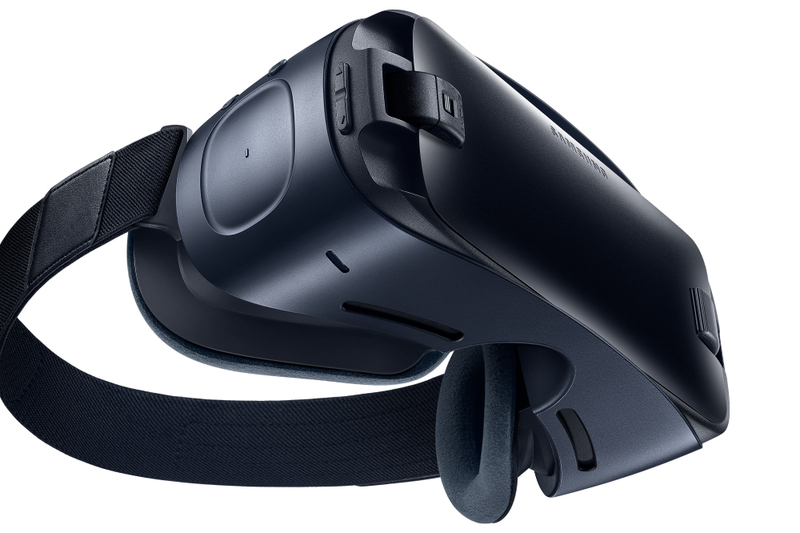 Gear VR: The new Gear VR, compatible with many of the latest Galaxy phones, including Note7, Galaxy S7 and more, allows users to explore premium virtual reality, anywhere, with a redesigned look in a blue-black color and an expanded field of view. Gear VR will be available for $99.99 at Amazon.com, AT&T stores and www.att.com, Best Buy, Samsung.com, T-Mobile and Verizon. Gear 360: Samsung’s powerful, affordable, high-resolution 360-degree camera, Gear 360 lets users create high resolution (3840 X 1920), 360-degree images and videos while on the go—all via the latest Galaxy smartphones. Users can share their content directly to social networks or Samsung VR—the company’s premium virtual reality service. Gear 360 will be available online for $349.99. Gear IconX: Wireless earbuds, designed for users seeking the ultimate cord-free fitness experience, featuring touch controls, built-in memory for up to 1,000 songs, and it tracks your speed, distance, pace, and heart rate in real time. Gear IconX also syncs seamlessly with your smartphone to track your progress on the S Health app. Gear IconX is available for an MSRP of $199.99. Level Active: These headphones deliver high-quality sound and touch-controlled performance tracking in a lightweight, sweat-resistant package. Linked by a behind-the-neck cable, the earbuds pair effortlessly with your mobile device—making answering a call, controlling your music, or accessing your fitness data via S Health easier than ever. Level Active is available for an MSRP of $99.99. Samsung Connect auto: A connected car solution that empowers consumers and businesses alike to make driving safer, more sustainable, more productive and more fun. After plugging into the OBD II port underneath your steering wheel, Connect auto provides a powerful AT&T 4G LTE Wi-Fi hotspot that supports up to ten devices. Connect auto also sends real-time alerts to the driver, improving efficiency and safety on the road. Connect auto delivers a better, smarter and more connected ‘on the road’ experience. AT&T will be the first wireless provider of the solution in the U.S.
And if you need links to any of these, we have those below.